Maha Lakshmi can be invoked for desires, goals, issues, or problems. She can be requested for any purpose or motivation as long as it is for the highest good. We invoke the blessings of Lord Ganapathi, thereby preventing obstacles and hurdles. 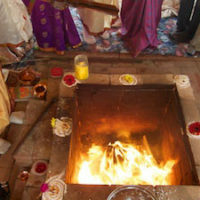 By performing the Lakshmi Ganapathi Havan, one attains progress, evolution, growth, co-creation of good present karma and co-creation of good future karma. So, this Havan is for more happiness, a better life, more peace of mind, and more support of nature. 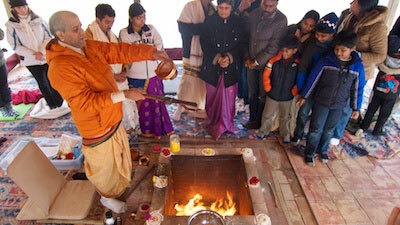 With the help of this Havan, one can attain spiritual, emotional, mental, physical, and material fulfillment. Also, love, marriage, relationship, children, health, wealth, and prosperity without any hurdles, obstacles, or problems.